Page Street, 04/16, 12:45 a.m. On this date, Deputy Potter responded to a residence where an Xbox was reported stolen. Upon arrival, he learned the residents had been awakened when an unknown subject entered their home through a sliding door and stole several items located on their screened-in porch, including an Xbox. One of the residents observed two male subjects on the porch. He turned on the porch light, prompting the two subjects to flee the residence. Deputies canvassed the area, but were unable to locate the suspects. The incident remains under investigation. Walmart, 11 Village Parkway, 04/14, 4:21 a.m. On this date, deputies responded to the store after a customer reported observing two male subjects leave without paying for a full cart of merchandise. They then left in a blue sedan and took off down Warrenton Road. First Sgt. Rakoczy located the suspect vehicle in the area of the I-95 northbound entrance ramp. He conducted a traffic stop and made contact with the occupants of the vehicle. The driver was identified as William Pearson, 47, of Woodbridge and the passenger as Severn Jackson, 36, of Woodbridge. Surveillance camera footage confirmed they were the suspects behind the shoplifting incident. They were subsequently taken into custody. Four unopened hover boards and clothing items totaling over $900 were located in the trunk of the vehicle. They were charged with grand larceny and conspiracy to commit a felony. Jackson was also served an outstanding warrant out of Manassas for shoplifting. They were held at Rappahannock Regional Jail on a secured bond. 501 Cambridge Street, 04/14, 9:41 p.m. On this date, Deputy Fulford conducted a traffic stop after observing a vehicle displaying tags that returned to a different vehicle. He then made contact with the driver who was identified as Cedric Thorne, 28, of Hustle, VA. Thorne admitted the tags were given to him by a friend and that his license was suspended. In reviewing the vehicle title, the deputy also observed that there was no information on the buyer. The title only contained the seller’s name and signature. Thorne was taken into custody on charges of drivingsuspended, possession of an open title, unregistered vehicle, and displaying another vehicle’s registration. He was held at Rappahannock Regional Jail on a $1000 secured bond. 239 Deacon Road, 04/13, 6:54 p.m. On this date, Deputy Forman responded to reports of a hit and run. When the deputy arrived, witnesses told him they observed a female subject running down the road away from the scene of the crash. A witness observed the vehicle cross the center median and strike a utility pole. The deputy identified the registered owner of the vehicle as Leanna Plaugher, 21, of Waynesboro, VA. Her license returned suspended and he also learned the vehicle’s registration was expired. Plaugher was later served warrants for driving revoked, hit and run, failure to maintain lane control, displaying altered registration, and no registration. 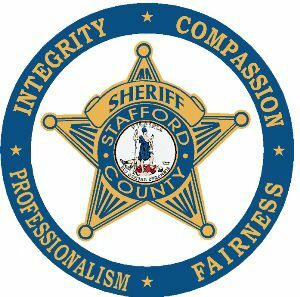 300 Block of Garrisonville Road, 04/14, 6:03 p.m. On this date, Deputy Daniel Reed responded to reports of a reckless driver. The caller advised that the suspect vehicle was swerving into their lane. The deputy located the vehicle traveling at a high rate of speed and weaving in the area of Joyce Street and Garrisonville Road. The deputy then initiated a traffic stop in the area of Patton Drive. The driver was identified as Chahrazed Zaoui, 46, of Alexandria. She had the strong odor of an alcoholic beverage coming from her person as well as bloodshot, glassy eyes. She also admitted to drinking before driving. Field sobriety tests were conducted and she was taken into custody. She refused to provide a breath sample. Zaoui was incarcerated at Rappahannock Regional Jail on a $1000 unsecured bond on charges of driving under the influence, refusal, and several traffic offenses.